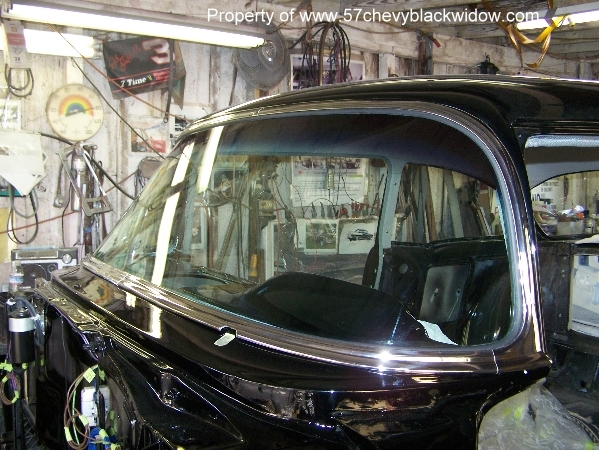 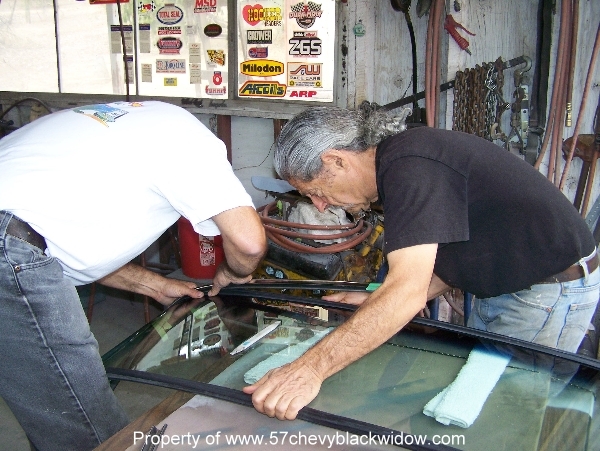 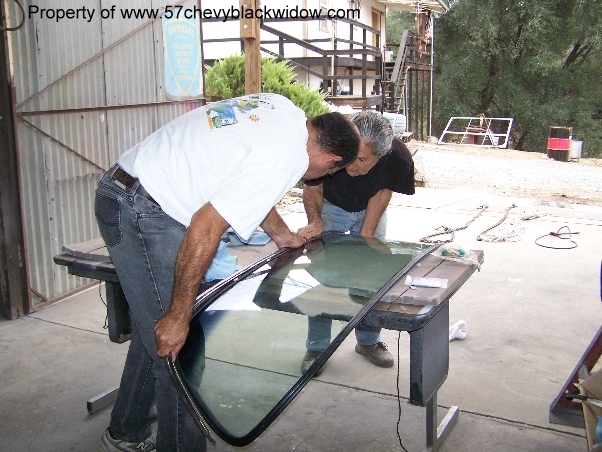 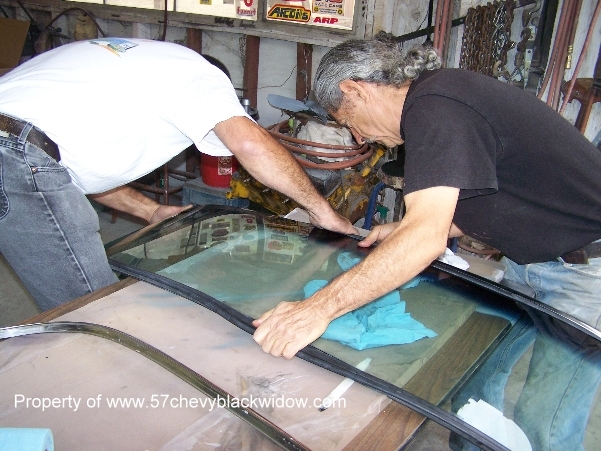 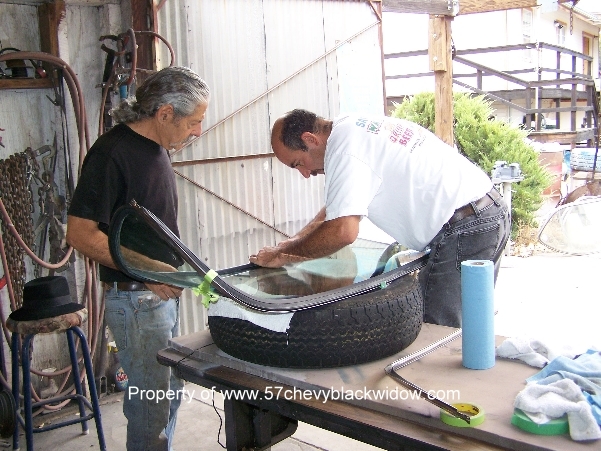 It's easier to install the front & rear glass before installing the engine and truck lid. 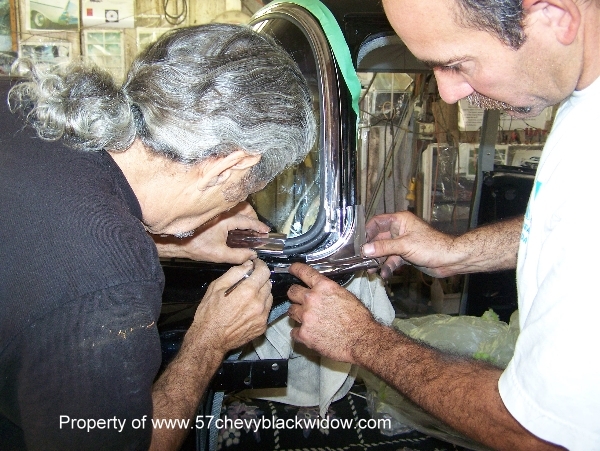 "Old Guy Scott's" shows, in the following photos, how nice it is working glass & moldings without the front end in the way. 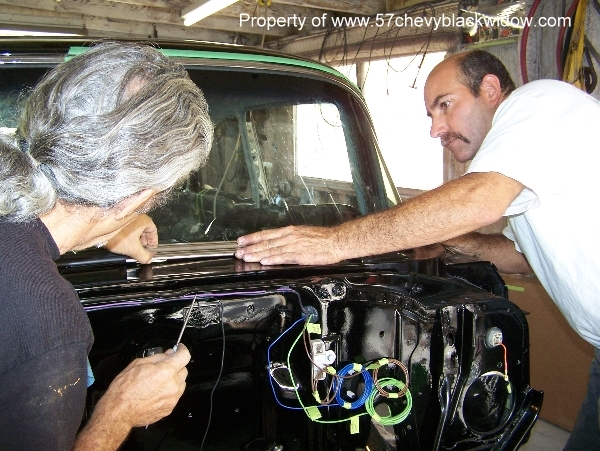 Be sure to have the moldings polished out before installing them.